Bradley Ferrell, in addition to creating the epic documentary of Jason Castriota's Mantide, also raises goats. 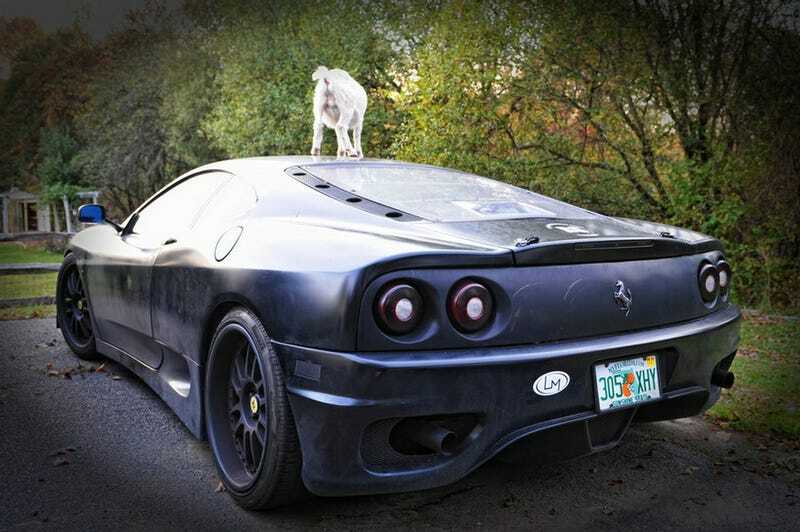 Ferrell decided to let one of them get atop his matte black Ferrari 360. Why? We have NO idea, but it's hilarious.